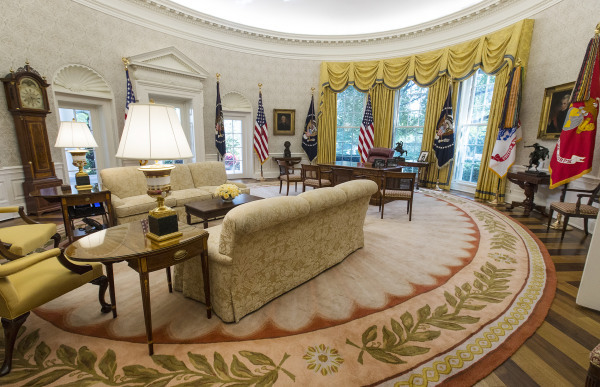 WASHINGTON — President Donald Trump’s administration is spending $1.75 million on furniture for the White House and offices tied to it, according to government records. That includes $17,000 for custom rugs, $7,000 for “furniture pedestals” and $5,000 for wallpaper. There’s also $12,800 for a custom conference table from a company that made one for Richard M. Nixon in 1969 (“Nixon paid for the table himself,” the company’s website notes). 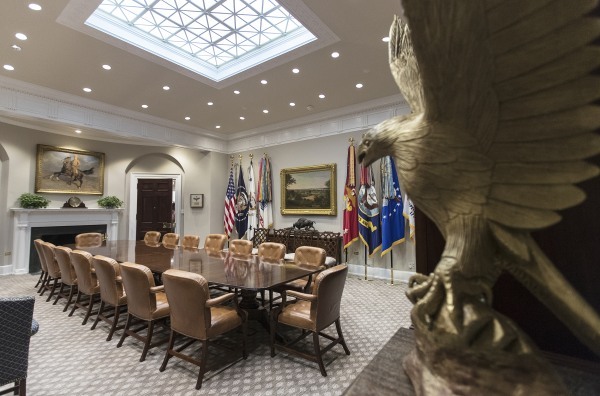 New presidents typically redecorate, and the West Wing underwent significant renovations this summer. Still, the sum, since the inauguration, is slightly larger than the roughly $1.5 million spent by Barack Obama over a similar period of time in his administration. 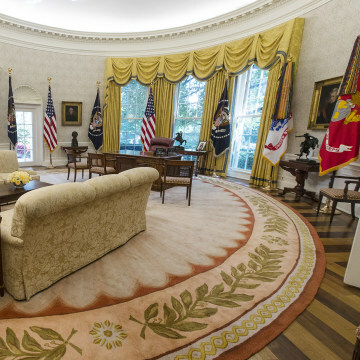 Obama made a point of paying for some White House furnishings out-of-pocket. It’s unclear if Trump has done the same. A White House spokesperson said they were looking into the matter, but did not immediately follow up with comment or more information. 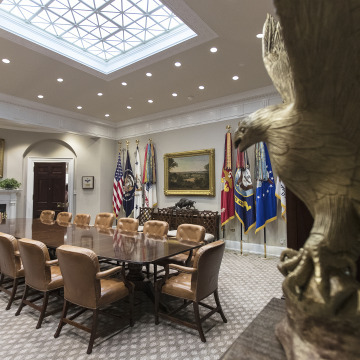 The spending, tracked by a database maintained by the General Services Administration, covers the entire Executive Office of the President (EOP), which includes thousands of employees who work in buildings adjacent to the White House in organizations like the National Security Council and the Office of Management and Budget. For instance, the largest single expenditure — $291,000 from a vendor of office walls — appears to be designated for the U.S. Trade Representative, which is also part of the EOP. The procurement data are often broad and vague, making it difficult to ascertain exactly how and where the furniture will be used. Still, some of the expenditures hint at possible use in the residential mansion. The records indicate nearly $29,000 for “upholstered household furniture manufacturing” and another $10,000 for floor coverings from a home furnishing merchant wholesaler. Many of the larger contracts were signed in late August, presumably related to the much-needed repairs performed over two weeks while Trump was away at his New Jersey golf resort. Several others were finalized at the end of September, just before the new fiscal year started on Oct. 1.